Can An Orlando Asylum Lawyer Help With My Case? In Florida, immigrants seek asylum due to unsafe conditions in their resident country. The assignment allows the individual to move into the country and seek permanent residency. However, to achieve this objective, the individual must follow all federal laws pertaining to asylum and naturalization. Our asylum attorneys and Orlando Immigration lawyers provide assistance for immigrants who need asylum now. What are the Basics of Asylum? The Refugee Act of 1980 gives immigrants the right to seek asylum in the United States due to a fear of persecution in their resident country. Typically, the threat of persecution is based on their religion, race, political opinion, or affiliation with social groups. Asylum provides the individual and those closely related to them the freedom to move to the United States and avoid persecution which would lead to death, torture, or other potentially-fatal injuries. What is Expected Before the Naturalization Process Starts? The individual who was granted asylum and/or their relatives must continue to live inside the country for no less than one year after asylum is granted. The individual must provide information about where they live in the U.S. to their assigned caseworker through USCIS. Who is Eligible for Receiving Asylum in the United States? The individual or individuals seeking asylum in the U.S. must submit an application for asylum prior to their arrival into the country. Typically, foreign immigrants can obtain an application through the U.S. Embassy in their resident country. However, individuals who flee from their country may receive asylum at a port of entry such as an airport or border crossing. The individual must also assess the conditions in their resident country after the one-year anniversary of the date when they were granted asylum. Any change in circumstances in which the individual’s safety isn’t in question could affect their eligibility to live in the country through asylum. Additionally, the party must follow all deadline requirements as directed by their casework. However, extraordinary circumstances such as hospitalization could provide an extension of the deadline. 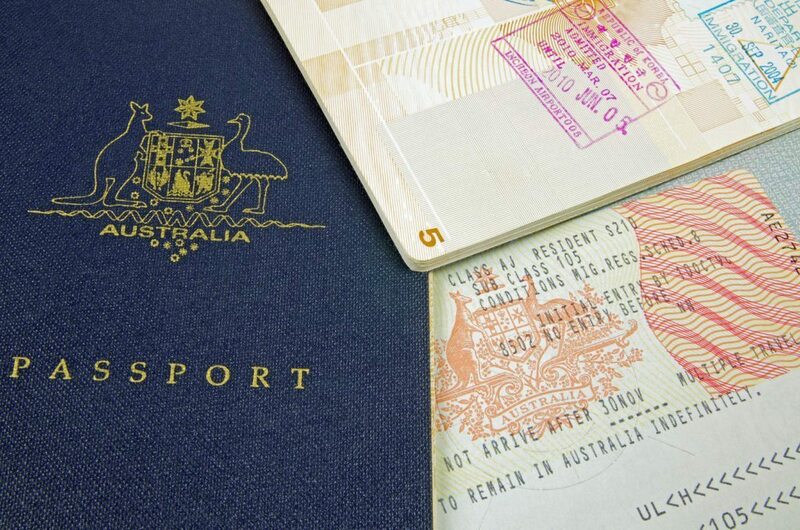 How Long Does It Take to Receive a Work Permit After Being Granted Asylum? Once granted asylum, immigrants cannot file an application for a work permit immediately. Federal laws require them to wait at least 150 days before submitting their application. However, the immigrant cannot work in any industry in the United States until they have received an approval for a work permit. After the waiting period, the USCIS must review and make a decision within a thirty-day period. Are Refugees Allowed to Travel Outside the Country? The individual must contact their caseworker and receive advanced permission for any potential travels outside the country. The caseworker provides a refugee travel document once permission is granted. Any failure to receive permission prior to traveling could result in a revocation of their asylum assignment. Upon discovery of unlawful travels, the USCIS can and will start the removal or deportation process for the immigrant. Removal or deportation proceedings enable the federal government to send the immigrant back to their resident country. The process eliminates the rights of the immigrant to seek naturalization and become a legal citizen of the U.S. Typically, the proceedings require a hearing in which a judge reviews documentation and makes a determination based on current immigration laws. Individuals facing these circumstances can contact us for legal assistance right now. In Florida, we provide fast assistance for immigrants who were granted asylum and are facing deportation back to their resident country. We can provide help by filing a motion to enforce the rights of the immigrant based on their asylum assignment. Immigrants who need quick legal assistance can contact us right now. Our asylum lawyer can help guide you through the process of claiming asylum in the United States. We have decades of experience assisting clients all over the country with their asylum needs. Our team would be happy to speak with you or your loved one about your asylum case. Contact us today to schedule an appointment with an attorney at our Orlando office.